Start by planning where it will go. You will need a standard doorway, plus space for a toilet, hand, basin and shower cubicle. Basins can be just twenty centimetres deep, so they are unlikely to be problematic. The shower cubicle needs to be at least seventy-five centimetres wide. As for the toilet? That might depend on the person using it! Built-in wardrobes tend to be quite popular for conversion. Check the plumbing and waste services are close enough to work with. Choosing your bathroom fittings and furniture is simple. Pick the items from your favourite plumbing retailer or head to your local DIY superstore. If you choose the superstore option, you can usually book in the building, plumbing, and fitting works while you are there. Don’t forget to choose tiling and flooring options too. You might prefer to take on the painting yourself. Select a specialist bathroom paint as this will combat potential mould spores from the steam in there. Now it’s time to pack up your bedroom and arrange to sleep elsewhere for a couple of nights. You can move your entire bedroom into self storage to avoid the usual ‘accidents’ that can occur when tradespeople have to come in and out. Don’t feel too proud to cover your carpets or floors while you’re away. Most contractors do bring protective coverings, but you should add your own just in case. The build for this kind of project usually only takes a handful of days. Unfortunately, there may be several periods of ‘drying’ that you need to wait for. Plaster can take well over a week to dry out ready for protective painting. That means you shouldn’t use a brand new room for that time. The sealant will also need a day or two to set. Grout for the tiling and the flooring will also need patience. Your lighting choices may need to be installed by a registered electrician. Aside from that, the rest is down to you. You can personalise fitted cupboards with your own decorations or choice of door handles. Painting the walls won’t take long, although full tiling is on trend right now. Much of your style will have been determined by your tiling choices. Aside from this, some wall art and a good sized mirror will look amazing. Finally, a couple of decorative objets d’art and a soft towel set will finish the room off beautifully. Time to move back in! 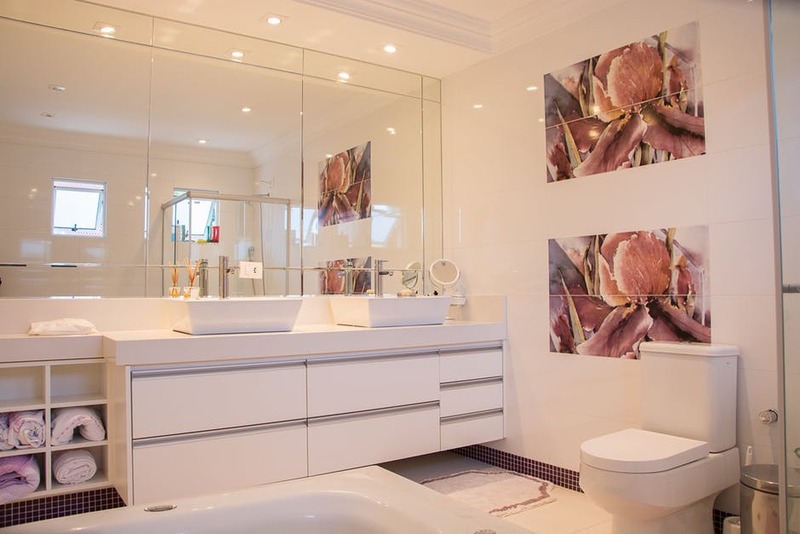 A full ensuite bathroom can be installed quite quickly with minimum disruption. The convenience of your own ‘convenience’ can be worth any upheaval you might experience.